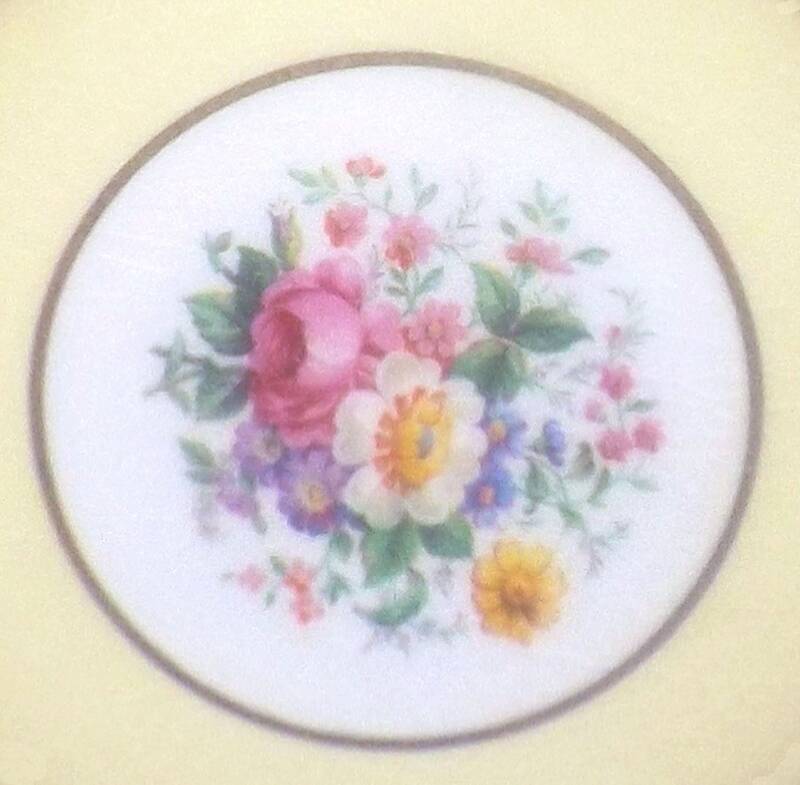 Quite vintage (1930s) Johnson Brothers JB1011 hand-decorated dinner plate | charger. Cobalt, central florals, filigree. 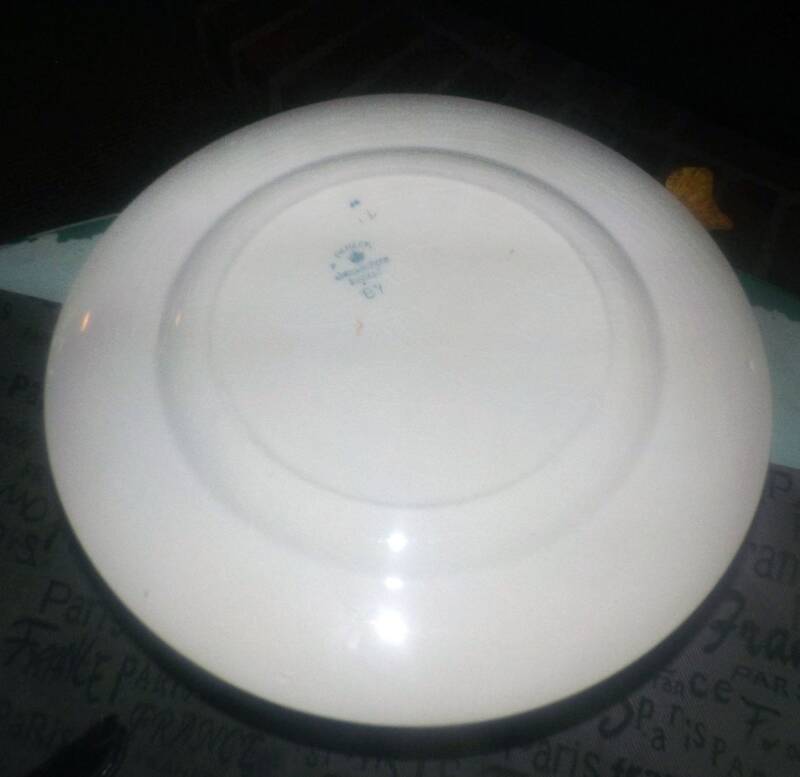 Pareek ironstone. 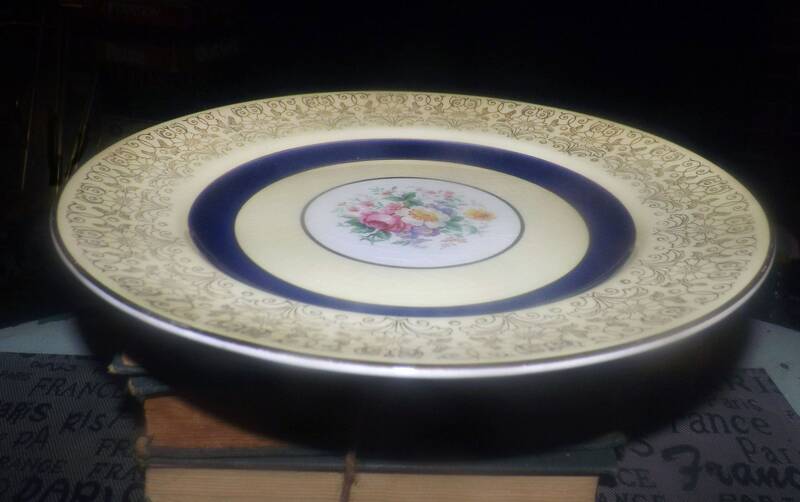 Quite vintage (1930s) Johnson Brothers JB1011 large hand-decorated dinner plate or charger. 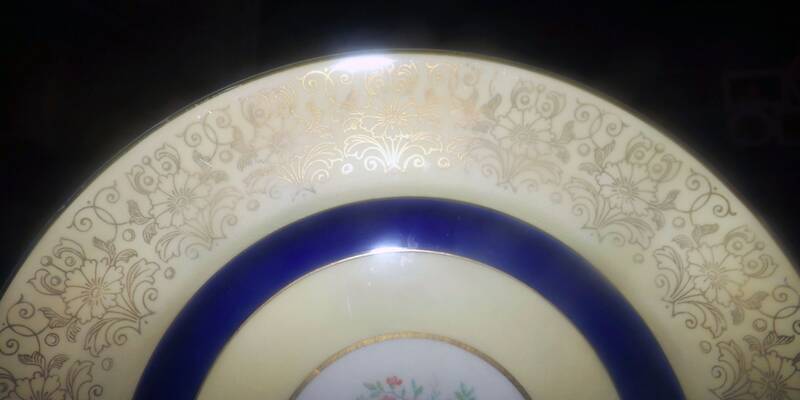 An elaborate pattern, part of Johnson Brothers' Pareek line, JB1011 features a cobalt band with central florals and a yellow verge with inset gold filigree and smooth, gold edge. In EXCELLENT! vintage condition with NO! chips, nicks, cracks, or fleabites, MINIMAL! loss to the gold edge or filigree, MINIMAL! crazing and NO! stains. There are a few MINOR! 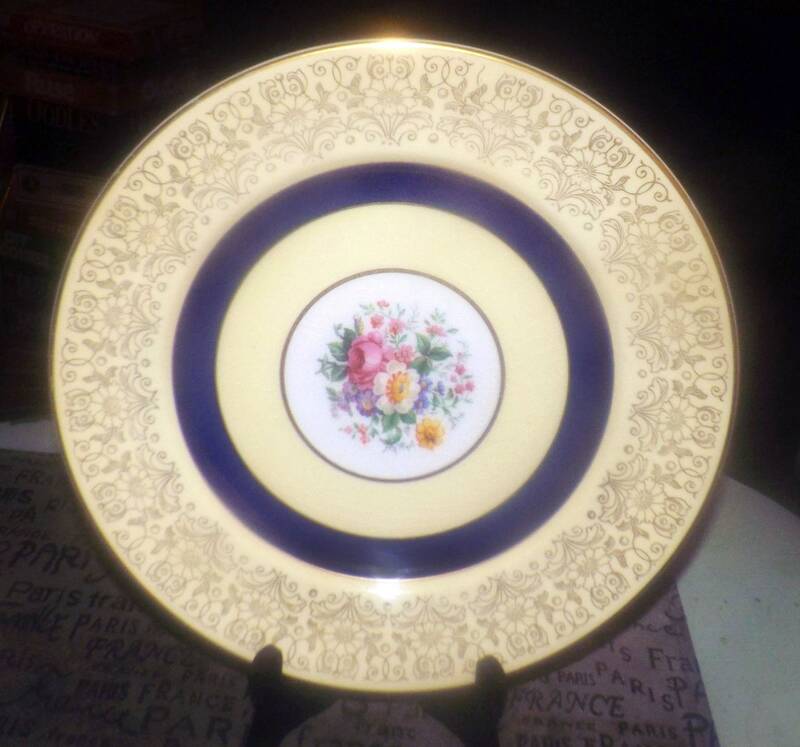 scratches to cobalt band and central florals (please review each of the posted photos for a complete visual of the item) and the flowers are bright and vivid with NO! fading apparent. 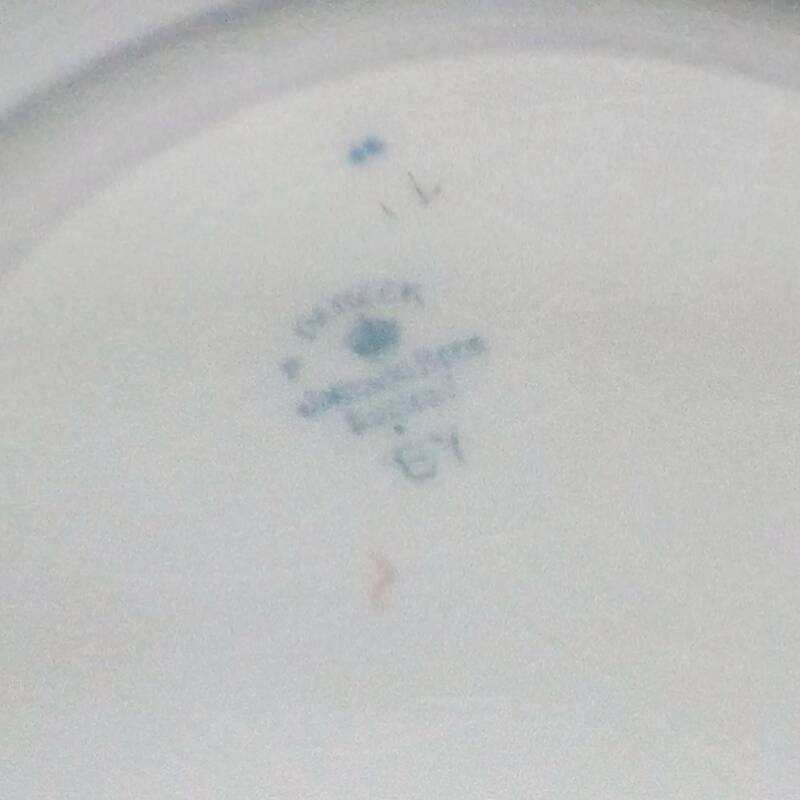 Decorator's marks to reverse of plate. Approximate measurements: 11-1/4" in diameter (measured edge to edge across the front of the plate) with a smooth, gold edge.